Stephen A. Genus, D.M.D. specializes in maintaining your dental health and helping you improve your appearance. Our experienced and friendly staff takes great pride in providing quality dental care in a professional and comfortable environment. New patient appointments include cleaning, x-rays, and an exam. We are a family practice that enjoys providing dental services to children as well as their parents and grandparents. Our team is dedicated to treating all of our patients with respect and delivering to them the quality dental care that they deserve. Scheduling bi-annual professional dental cleaning exams should be an essential part of any comprehensive oral health regime to maintain a healthy smile. 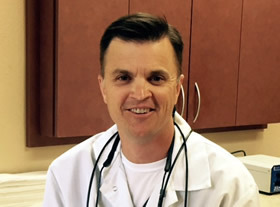 For personalized preventive care tips and information on daily brushing, flossing, and oral hygiene, schedule your checkup with Doctor Stephen Genus today! We accept most major dental insurances, and CareCredit. To discuss your payment options or insurance plan coverage, please call (916) 427-8900. This can be anything done to correct imperfections in the appearance of the mouth. Anyone who is unhappy with their smile can have it fixed. The upper teeth show, usually, only when smiling, while the lower teeth remain hidden. This is reversed when talking, with the upper teeth remaining hidden while the lower teeth show. The color, alignment, spacing as well as regularity of the teeth are the characteristics that provide the overall appearance. Any of these can be repaired to give a stunning look to the mouth and smile. Contact our staff to schedule a dental exam with Doctor Genus. We offer a wide variety of cosmetic options. Some of these options are whitening, smile design, recontouring of the shape of the teeth, veneers, bonding, and all ceramic/porcelain crowns. 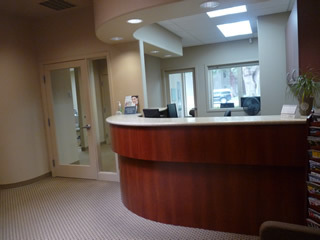 Visit our Sacramento Pocket Area office for treatment recommendations and to have your questions answered.